The first session of the Widgery Tribunal was held in Coleraine, County Derry. A total of 17 sessions were held between the 21 February 1972 and the 14 March 1972. 114 witnesses gave evidence. A further three sessions were held at the Royal Courts of Justice in London on the 16, 17 and 20 March. Four members of the Irish Republican Army (IRA) died when a bomb they were transporting in a car exploded prematurely on the Knockbreda Road, Belfast. 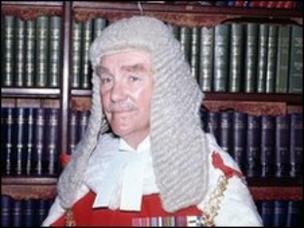 Robert Lowry, then Lord Chief Justice of Northern Ireland, was appointed as the Chairman of the Constitutional Convention. Margaret Thatcher, then leader of the Conservative Party, visited Belfast and Derry. The Irish Republican Army (IRA) carried out a series of fire bomb attacks on eight shops in Belfast and three in Derry which resulted in damage to all 11 stores. Two members of the Irish Republican Army (IRA) and a British Army (BA) soldier were killed in a gun battle between an undercover BA unit and the IRA at Dunloy, County Antrim. Ian Paisley, then leader of the Democratic Unionist Party (DUP), and William McCrea, then DUP Member of Parliament (MP), hand in a ‘Hands off the Ulster Defence Regiment (UDR)’ petition to Downing Street. The High Court in Belfast ruled that actions taken by Belfast City Council to try to exclude Sinn Féin (SF) from the business of the Council were illegal. The Irish Republican Army (IRA) carried out a mortar attack on an Royal Ulster Constabulary (RUC) station in Beragh, County Tyrone. The attack caused extensive damage to the police station and to the surrounding village. In a British Broadcasting Corporation (BBC) television programme Patrick Mayhew, then Secretary of State, confirmed that two “unauthorised” meetings had taken place between representatives of the IRA and British officials in 1993. However, Mayhew stated that no official had been given permission to say that Britain intended to withdraw eventually from Northern Ireland. An area of the centre of Belfast was evacuated because of a bomb scare. It is the first bomb scare in Northern Ireland since the Irish Republican Army (IRA) ceasefire. John Hume, then leader of the Social Democratic and Labour Party (SDLP), and Gerry Adams, then President of Sinn Féin (SF), met with members of the Irish Republican Army (IRA) Council to discuss the ending of the IRA ceasefire. The Ulster Unionist Party (UUP) published a document outlining proposals for a 90 member elected body to be based in Stormont, Belfast. Seven people were arrested in Northern Ireland and the Republic of Ireland in connection with the Omagh bombing. David Trimble, then leader of the Ulster Unionist Party (UUP), travelled to London for a meeting with Tony Blair, then British Prime Minister, at Downing Street. Trimble stated that the Good Friday Agreement was moving towards a review because of a lack of progress on disarmament. Blair also held meetings with other pro-Agreement parties. Seamus Mallon, then deputy leader of the Social Democratic and Labour Party (SDLP), said there was a real risk that the Agreement might collapse within a week. Matthew Burns (26) was shot and killed and his brother Patrick Burns was shot and injured as they sat in a car in Castlewellan, County Down, at approximately 7.00pm (1900GMT). Matthew Burns had survived a bomb attack and a paramilitary punishment attempt within the past two years. A man was shot in the wrist in a paramilitary ‘punishment’ attack in north Belfast. The man was taken from his house and driven to an alleyway off the New Lodge Road he was shot. There was major traffic disruption when an explosive device (pipe-bomb) was found on the Castledawson to Toomebridge Road, County Antrim. The Northern Ireland Policing Board (NIPB) held a meeting to discuss the appointment of a successor to Ronnie Flanagan, then Chief Constable of the Police Service of Northern Ireland (PSNI). The NIPB was split on the matter of whether Flanagan should be asked to remain on while a successor was found or whether his Deputy should be asked to fill the post in the interim period. It took the casting vote of the Chairman who supported the former option. Lawyers representing relatives of the victims of Bloody Sunday began an action at the Court of Appeal to challenge a decision by the High Court in Belfast (on Tuesday 19 February 2002) not to prevent police witnesses being screened when giving evidence at the Inquiry. Two Irishmen appeared at the Old Bailey in London charged in relation to “real” Irish Republican Army (rIRA) bomb attacks in London and Birmingham during 2001. Died in premature bomb explosion while travelling in car along Knockbreda Road, near to Castlereagh Road roundabout, Belfast. Shot while on guard duty outside Fort Pegasus British Army (BA) base, Whiterock Road, Ballymurphy, Belfast. Died four months after being hit on the head by missile thrown from crowd, during street disturbances, while travelling in British Army (BA) civilian type car, Newtownards Road, Belfast. He was injured on 5 October 1972. Killed in bomb attack on Spa Inn, Spamount Street, New Lodge, Belfast. Killed by remote controlled bomb, hidden in derelict building, while on Royal Ulster Constabulary (RUC) foot patrol, Lower English Street, Armagh. Killed in gun battle between undercover British Army (BA) members and Irish Republican Army (IRA) members, Dunloy, near Ballymoney, County Antrim.